Tired of having to export your donations CSV file in order to access all the additional information associated with your donation? Good news! 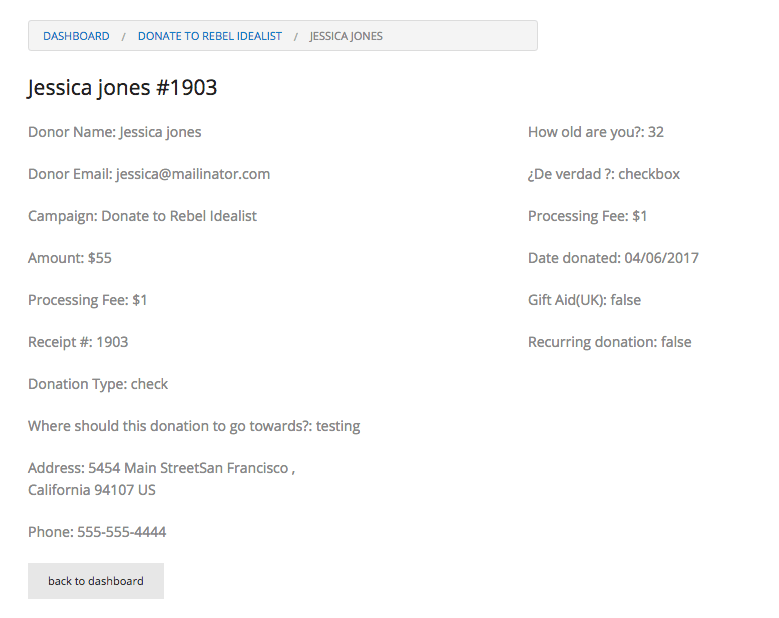 We added a new button that allows you to see all the data from your donations right from your dashboard. Simply go to your Donorbox dashboard and click the “Donations” tab to access your list of donations. Then, click the “Show” button at the top of the far right column. This button will lead you to a summary page with all the information from that donation, such as donation designation, the donor’s employment information, and answers to any additional questions you may have added to your form. You can still export all of this information through the CSV file, but this option allows for quicker access!